We all use Writing the Room in one form or another. Your students will wow you when they use spring colored markers to fill in each block with a word from the room. 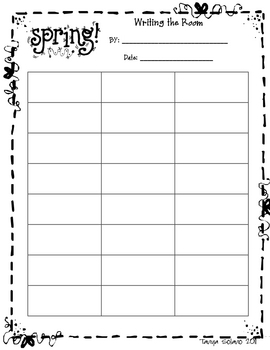 It will give them an opportunity to show handwriting and reading progress.